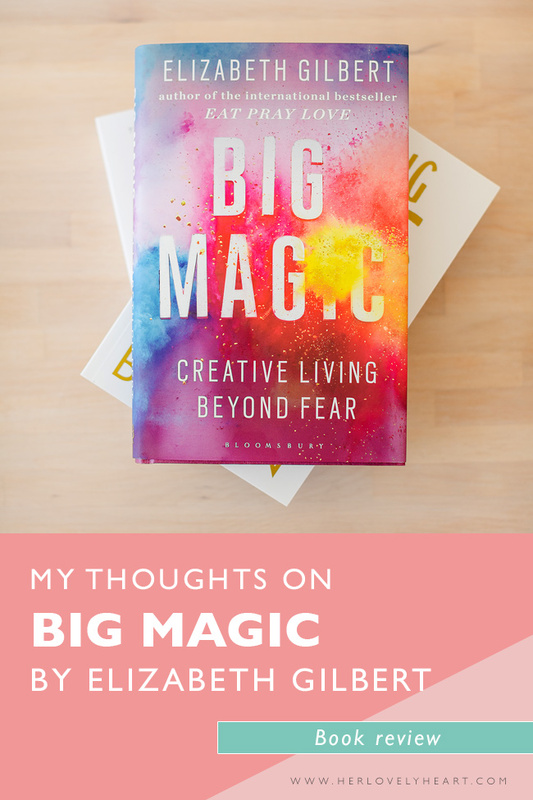 Big Magic: Creative Living Beyond Fear by Elizabeth Gilbert is like the paradoxes she talks about in the book itself. It's nothing new, and it's everything you need to know, all at once. It's an easy read (I read it in one sitting yesterday), but it lands into you heavily. If you're a creative or work with the arts, you'll recognise the feeling when inspiration strikes because it's something you've learned to make space for. However, you don't have to be an artist to know or cherish inspired ideas. After all, scientific discoveries, or even solving a stubborn problem at a logical job, will at times be touched by inspiration. Hell, a lot of my most inspired ideas revolve around business (which I do believe to be highly creative, mind) rather than the visual art I produce. Big Magic feels like memories echoing around your heart. Gilbert talks about the ingredients I bang on about at my workshops, courage and curiosity, as the cornerstones of a creative life, albeit she does it a lot more eloquently than I ever could. 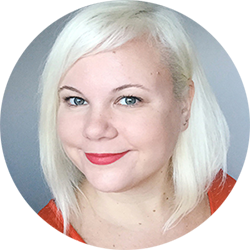 She talks about allowing fear to be a passenger, but never the driver, which is crucial to accept when in the business of creating unknown, fragile things. For anyone not working in a creative field, I think the book will give a glimpse into how it feels to be chasing inspiration, or constantly working to make space for it, so they can better understand their creative loved ones (or recognise inspiration in themselves). For aspiring artists it will inspire a good work ethic, and for those of us toiling away with creative bits and pieces, it offers a warm hug. You're not alone. It's hard and glorious and fun and sad and hairs-on-your-arm-standing exhilarating to give your life to creativity. The anecdote that made me cry while reading, sob in physical recognition of that fleeting, but driving force, was when Gilbert recounted how poet Ruth Stone experienced inspiration. I guess the tears came from remembering a time when I thought it was gone. When there was so much noise and pain and sadness that there was no room for inspiration to settle in. But eventually, after much rearranging and chopping and sawing, working away carving space and yet more space, it came back. And exactly like Ruth I could hear it coming, rustling through the trees in the night, at a ferocious speed, asking only that I was ready to catch it. I find that inspiration for words especially always comes fast and furious, and you have to be there to catch them right then (even if someone is trying to talk to you just then, which is not always convenient), or they'll just sweep right through you and vanish into the air. The concept I loved the most, and took away for safekeeping from this book, was that inspiration is not mine. The genius is not of me. It's a separate magic, looking for someone who's at the right place, at the right time. And there's no need to try to hoard it because you're afraid it'll run out, as it's not yours to keep. Make space for it and trust that it will come. And if it doesn't, keep doing the work anyways. I realise that that's why I love techniques for idea generation so much. They prepare you, they keep building that space, they make you do the work whether inspiration is present or not, so that when it does come, you're good and ready. It's like you're coaxing inspiration, saying, ‘look how much fun we're having, won't you come out to play?'. You might not be producing anything groundbreaking, but you are showing up, and you are offering yourself up to curiosity. That's the paradox of living a creative live, it can feel very insignificant indeed, and also the most important work you could be doing. All at the same time. If you don’t have time to read the book right now, you can get a glimpse into the concept in this Ted Talk, which sparked the book into existence.